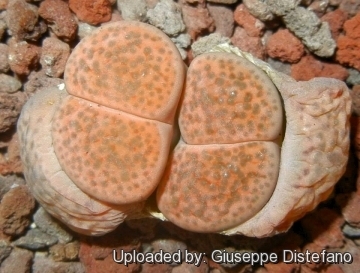 This population comprises some of the specimen with the largest dots of the genus but the size of the dots varies considerably also in plants of the same batch. 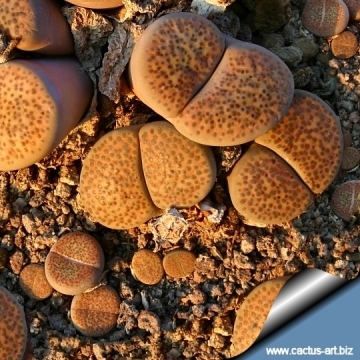 Habitat: Its natural habitats are rocky areas and cold desert. The stones comprises quartzite, gneiss, quartzite and schist, calcrete and quartzite. The colour of the background varies from light to dark brown or reddish brown with some white and grey-white, or grey-white with some dark brown. 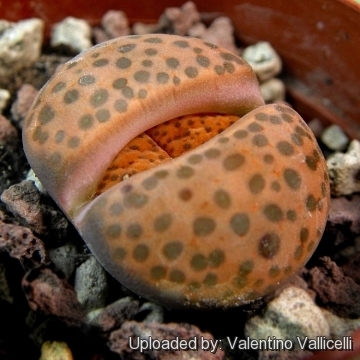 Description: L. fulviceps is generally smaller than most Lithops but its shape follows the same pattern of a cordate (heart-shaped), bifurcate body of two leaves, cleft nearly to the base and showing a pattern of channels, islands and windows on the top face. 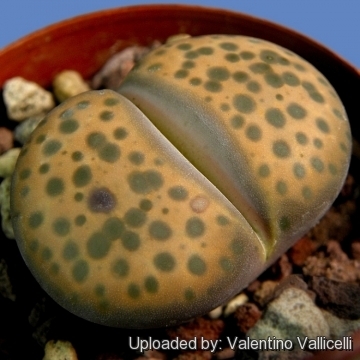 This species usually do not shows clearly evident margins, windows, channels and islands, but the top of the leaves are scattered by numerous dots ( dusky dots) and are more or less reticulated by slightly impressed grooves that sometime form a conspicuous network. The patterns of colour and dots on the face is more or less regular within certain ranges of similarity. 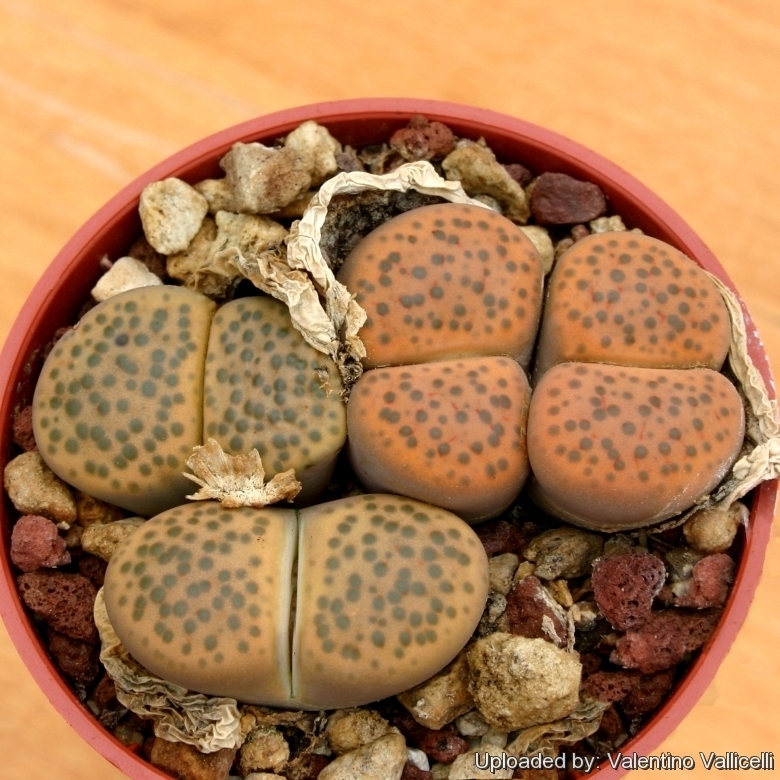 For this species, the dusky dots are very specific ranging in colour from dark grey through browns to purple. 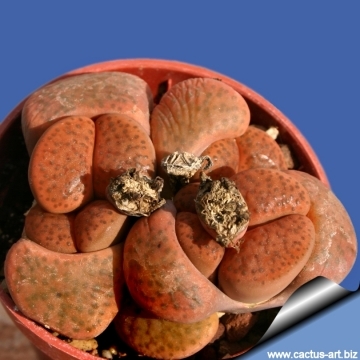 Seeds: Yellowish brown to brown; smooth to rugose. Cultivation and Propagation: They need an open mineral, fast draining mix and the maximum amount of light you are able to give them. The basic cultivation routine is: Stop watering after flowering. Start watering after the old leaves completely dry. (Usually late March or Early April) Water freely during the growing season, soak the compost fully but allow it to dry out between waterings, no water when cold. Some growers fertilize frequently, some hardly ever. Keep them dry during the winter. Nearly all problems occur as a result of overwatering and poor ventilation especially when weather conditions are dull and cool or very humid. 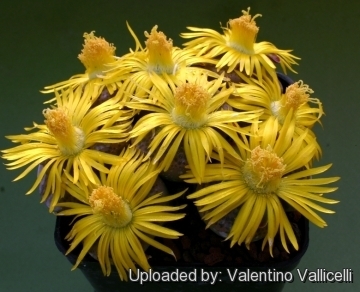 This plant is best for a well lit area (Bright shade to full sun). But don't be afraid even the best growers have plants that mysteriously dry up, or leave during the night.